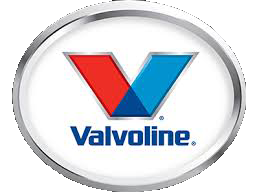 Valvoline has been a global leader in the motor oil industry for 150 years. From humble beginnings of developing a petroleum-based lubricant for steam engines, to now being a mega company with hundreds of locations and multiple products and services to offer. Valvoline has been a big name in racing since the beginning. Its development of a motor oil specifically for the fast speeds and long run times of engines changed the game of racing. This #1 selling racing oil provides high zinc for race-level protection in high performance engines on the track. Its exclusive design reduces friction and enhance power for its drivers. To be the best, Valvoline is constantly in the lab testing new oils to provide top quality services for its customers. Find out what’s new here. To stay up to date, make sure to follow Valvoline on Facebook and Twitter.